Caravans and motorhomes today rely almost exclusively on a 12 volt battery to power the control systems and provide lighting, but how do you know which battery is the best for you and will it be charged properly? The vast majority of starter and leisure batteries used today are based on lead acid technology. There are some future contenders to lead acid based on lithium ion and lithium iron phosphate technology but these are, in practical terms, some distance away from being commercially attractive, at between 10 and 20 times the price of a similar sized lead acid unit (shown above). 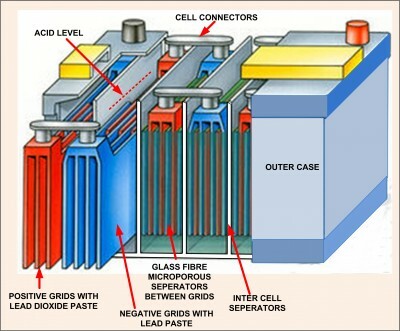 Lead acid batteries comprise interleaved lead paste & lead oxide paste plates, each plate with a lead grid to support the paste, suspended in an electrolyte of dilute sulphuric acid. These come in three basic types. WET (or Flooded), GEL and Absorbent Glass Mat (AGM) (below). In WET batteries the plates are kept apart by plastic or glass separators. In Gel, the electrolyte has silica gel or similar mixed with it to turn it into a jelly. AGM use fibreglass blotting paper in a compact, sandwich construction, to retain the electrolyte. Batteries fail as the lead paste will, over time, progressively detach from the plates. In WET technology this paste falls to the bottom of the cell box and will eventually short out that cell. In GEL and AGM the paste is retained in position. 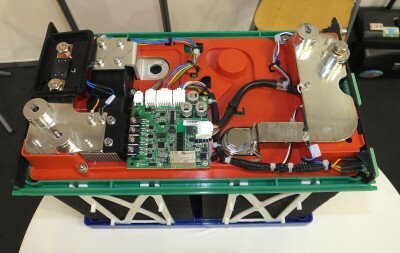 Spiral batteries (shown below) are AGM batteries with long strip plates and fibreglass simply coiled up. 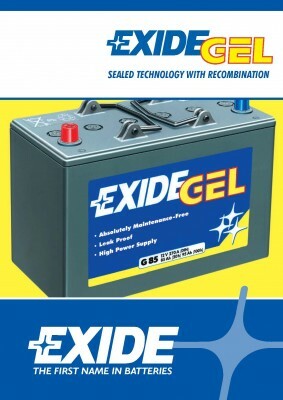 AGM and GEL batteries generally provide a longer service life. Starter batteries need lots of plate area in contact with the acid to achieve high cranking amps required to start a cold engine, consequently they have lots of thin plates. In use, once an engine is started the battery is quickly re-charged. Starter batteries are not suitable for leisure applications where they could be significantly discharged before being re-charged. 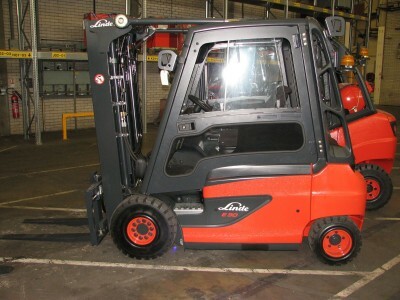 Batteries used in ‘Deep Cycle’ applications include Fork Lift Trucks, Milk Floats and Golf buggies. The plate thickness for a typical starter battery will be around 1mm, for a Forklift truck 6 – 8mm and for a golf buggy 1.8 – 3mm. Leisure batteries should be similar to Golf buggy batteries in construction to have a good cycle-life. It’s recommend that batteries should not be discharged below 50% of their rated capacity in order to preserve their life. The graph below clearly shows why. 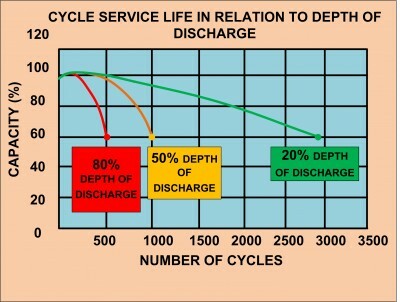 When choosing a battery the 50% discharge life cycle figure is the best yardstick of its durability. The National Caravan Council (NCC) has been working on an approvals system for Leisure batteries and knowledge of this has already caused some of the less reputable dealers selling starter batteries as Leisure to cease trading. Let’s hope that the scheme requires manufacturers to provide life cycle figures. Battery weight is also another very good yardstick of a batteries capacity. The cheapest leisure batteries with a 50% life cycle claim of 120 cycles will be 21 – 25 kg / 100 ampere hours. Top quality leisure batteries with life cycles of many hundreds and sometimes thousands of cycles will weigh 30 – 40 kg / 100 Ah. A battery that costs twice as much but lasts four times as long will be a better purchase. Look for the 50% life cycle figures when you make a purchase and, if life cycle information is not provided, act cautiously. The basics of charging all these lead acid batteries are similar. Initially during the BULK CHARGE the charging AMPS will be limited by the charger until the battery voltage has risen to the Critical Gassing Voltage, this varies a little between batteries even of the same technology. This voltage will then be retained at this level during the ABSORBTION PHASE as the charging current falls. This is often limited by a timer within the charger as well. After this, some chargers allow the battery voltage to increase further for a timed period before reducing the charging voltage to a lower level which can be applied continuously. It is the threshold voltages and currents at which the charger operates and the length of timers that need to be matched to the requirements of the battery. 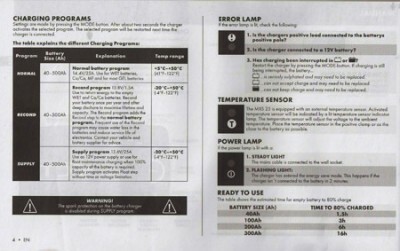 All the main players in the charger industries (Sargent, CBE and Schaudt) are working towards having settings suitable for WET, GEL and AGM batteries. However even batteries using the same technology but from different manufacturers specify different charging characteristics, so the onus today remains on the user to check that their charger is suitable for their chosen battery. Currently selection between WET and GEL is commonplace. Modern chargers are limited only by the software writer’s imagination. If your camping lifestyle is to go from campsite to campsite all with hookups and you do not have a motor mover then a cheap battery will satisfy your needs. 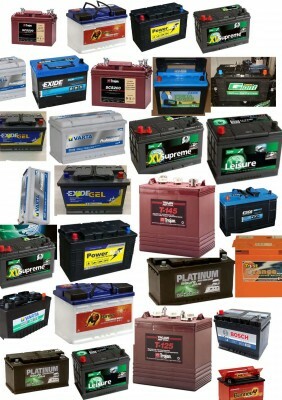 If you camp away from a hookup for days at a time then you should invest in a quality deep cycle battery. If you were for instance a caravanner using a motor mover, then quality it has to be and probably something from the AGM range if your charger is suitable. 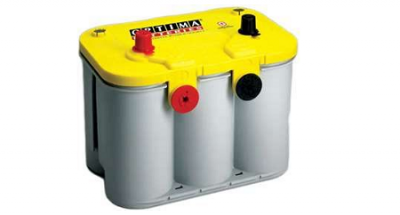 Do you have a good knowledge of motorhome batteries? Share you hints, battery and charger tips and stories in the comment box below. Hi I am looking for some advice, I have a Gulfstream friendship rv, it’s very large around size of a large coach and I have 2 battery’s for engine starting and 2 battery’s to run electrical items inside, my starter battery’s are dead and need replaced, I tried using starter/ leisure battery’s but they didn’t last long. Can anyone recommend what battery’s I should use? Hello, You obviously know that AGM batteries are very intolerant of anything but the precise charge program and that they like a higher 14.7v charge rate than most chargers can give? Did you realise that not one Caravan or Motorhome charger unit currently fitted has an AGM charge profile so that an AGM fitment will result in it being slow to charge, with short life. Especially if the Caravan/Motorhome has one of the common fixed 13.8v chargers? We are seeing AGM batteries that have failed and damaged the charger in a very short space of time. Websites warn against the fitment of an AGM battery in a van that did not have it as original equipment. Around 10% of the failed AGM batteries we have seen have exploded as a result of being charged with a none AGM optimised charger. You have not mentioned Elecsol batteries which are in my mind one of the best value units you can buy. I had a 130ah Elecsol battery in my motorhome for 5yrs. I sold the motorhome with the battery performing perfectly well. I used it 50/50 wild camping and on electricity and it never let me down. At present I have the same make and capacity of battery which I have used for 3yrs now with no problems. Elecsol are slightly more expensive but in this case, you do get what you pay for. Aparently the Elecsol battery technology is carbon fibre which maintains its voltage level to a far lower level of discharge, thereby giving you the theoretically capacity of a battery 33% larger. I must point out that I have absolutely no connection with Elecsol but am bemused at the fact that they have not previously been mentioned in this article. Hi Dave, Elecsol wasn’t one of the batteries we mentioned, but we welcome feedback from readers, so many thanks for the recommendation! If anyone wants further information, please click here. I have an 2002 Autosleeper Polensa with a monstrous size battery which is now dead so is it possible to say just what battery I should look for? I passed your comment to Auto-Sleeper, they say that any battery size will work on the Polensa but as standard they always fit a 105ah to their models. 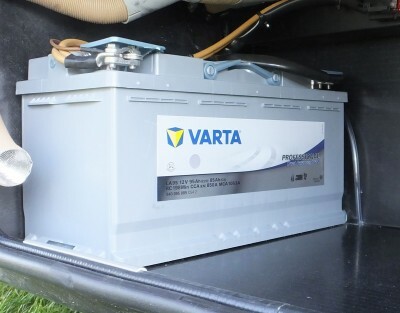 If you bought the motorhome second-hand, it may be that the previous owner installed a larger battery. Your article does explain some important things, thank you, and although I don’t expect you to recommend one battery manufacturer over another, it would be very helpful to have a list of manufacturers, and the names of their products if different from their trading name, that provide all the information you say we need to make an informed choice rather than leave us to try to find what could be a small needle. Which product you choose very much depends on the style of camper you have and your camping lifestyle. Lots of wild camping requires a better battery. Motorhomes with compressor fridges and diesel heaters require much more Ah capacity and more durable batteries. There are hundreds of different leisure batteries of various sizes and durability, dimensions and terminals available, and all with Life Cycle figures for 50% DOD published or provided in writing by the purveyors. For example picking a typical 100ish ampere hour battery, Platinum/Oldham/Tungstone/Crompton brands with Marine plus, Leisure plus, Leisure plus sealed, are all quoted at 120 cycles. •	Platinum AGM and Pro-Golf quote 500 cycles. •	Trojan Deep cycle 27TMH-AP quote 600 cycles. •	NDS =GREEN POWER AGM claim 500 cycles. It’s important to carefully measure up the space you have to ensure that the chosen battery will fit. 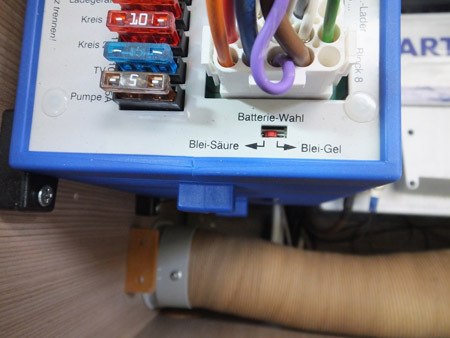 Always ensure that battery fumes have an escape path to the outside, frequently using a little pipe connected to the battery gassing manifold and fed through a hole in the floor. And secure batteries properly so that they cannot become dislodged in the event of a vehicle roll over. After having many disappointments when caravan nine with poor battery life,I have used a big,heavy forklift truck battery for 6yrs now with my MOTORHOME.No problems whatsoever but found it best to restrict TV usage when wilding. Have you considered offering a discount on Motorhome Insurance if a Dash Cam is fitted and operating at all times when driving.? Hi Dave, we have yes. It’s one of the safety and security devices we may look to offer a discount on in the future. We’ll keep you posted on the blog with any latest developments.